We can’t spell SUCCESS without U and YOU are the reason Alpine Communications is hosting our 10th annual customer appreciation dinner. 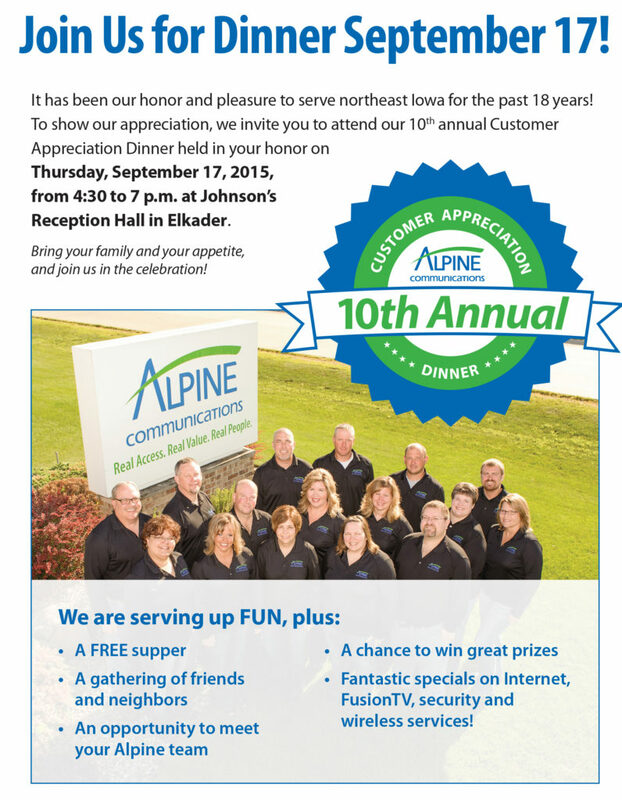 We want to thank you for choosing Alpine as your communications provider for over 18 years and treat you to a FREE dinner on Thursday September 17th from 4:30 until 7pm at Johnson’s Reception Hall in Elkader. Bring the family, your appetite and join the celebration…which includes a free supper with your friends and neighbors plus register to win great prizes.